This landmark book focuses on how AS presents in pre-school children. 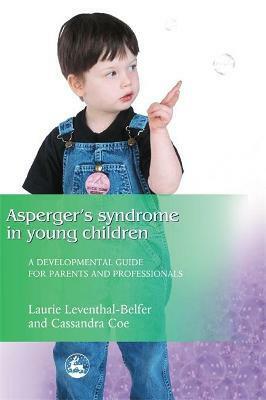 An essential guide for parents coming to terms with their child's AS diagnosis and for the professionals who work with this age group, it is unique in answering pressing questions specific to younger children. How can parents help their AS child to develop speech and language? What help is available at school and home? When, if at all, should a child be informed about AS? Including a useful summary of early childhood development stages, Leventhal-Belfer and Coe provide a diagnostic model based on assessment of the child in contrast to 'neurotypical' children, considering relationships at home, in school or in care. Their book shows how to develop tailored early intervention strategies and to assist parents, teachers and mental health professionals in making informed decisions to nurture the development of AS children.